The first US 121 was among the original routes of 1926, but it lasted only until 1934. 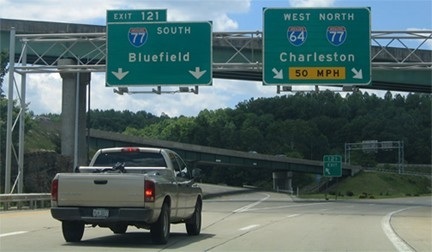 70 years later, the US 121 designation was recycled, when it was requested by the states of Virginia and West Virginia. 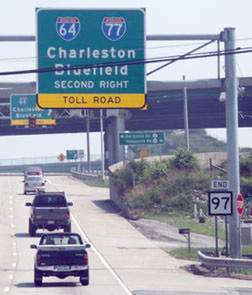 AASHTO approved the designation in 2005, despite the fact that none of the highway had been built at the time, and despite the fact that it does not connect with US 21 (US x19 would have been a more appropriate number). The highway is intended to run for about 60 miles through some economically-depressed areas in the two states. Better known locally as the Coalfields Expressway (or CFX), the vast majority of US 121 is still in the planning stage, and it is possible that it will never be completed. Many people are opposed for various reasons, such as its impact to the environment, its cost of construction, and the perceived lack of return on investment. Some coal companies have floated the idea of helping with the expense by offering to clear-cut the corridor and mine the underlying coal, leaving behind a roadbed ready for paving. However, their offer is contingent upon aligning the highway through areas that would yield the most coal, so one immediately suspects the potential for a conflict of interest. And now that the coal industry is experiencing its own downturn, construction seems to have stalled. So if this highway is ever completed, it probably will not happen for quite some time. That is essentially a "T" junction: I-77 runs left and right across the photo, and I-64 joins northbound I-77 to the right. The long-range plan is to make this a four-way interchange, with US 121 beginning straight ahead, and joining with the existing segment near Sophia. That interactive image is looking north on US 23, which curves off to the left. To the right is VA 630, which curves down the valley to the right. That may be right about where US 121 will connect. Heading that direction, it will probably be signed "north", even though it is actually more "east". So if the road is ever completed, drivers will be able to head east from Virginia and arrive in West Virginia.